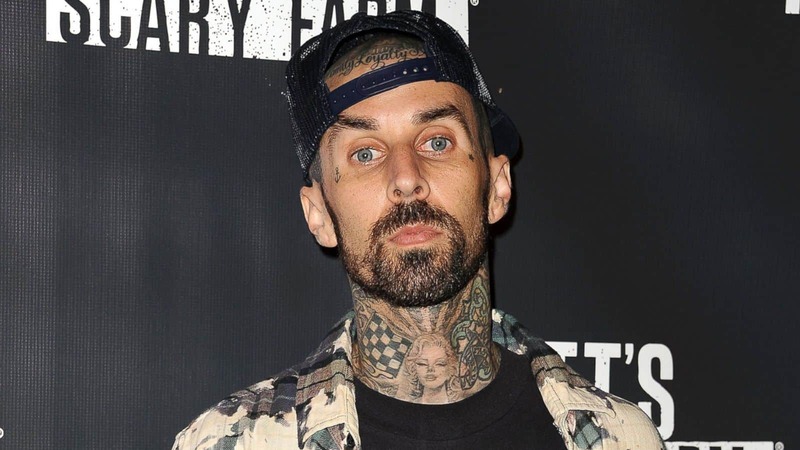 In a recent appearance on the Joe Rogan Experience, Blink 182 drummer Travis Barker talked about his love for CBD. After a discussion about how he used to tape weed to his nuts during international tours, the popular drummer talked about how he stopped smoking weed after a possible cancer scare. According to Barker, CBD is “all that I mess with now”. In the interview, Barker talks about how he uses CBD to help stop his mind from racing so that he can get to sleep at night. As long as I take, like, triple or quadruple the amount that it says to take on the bottle. If I take what the “proper dosage” is, I feel like it doesn’t do much. I’m one of those people whose mind’s racing constantly. I’ll get home from the studio at 1 or 2 and I’m just like figuring out how long I’ve got to sleep before I get to wake up my kids and go to school. And I just sit there with my wheels spinning unless I use CBD. And then that kind of helps. And then I also have Trigeminal Neurolgia. Have you heard of it? It’s the worst. It’s called the suicide disease. Cause basically all of the nerves in your face are firing all at the same time. So it almost feels like what you feel when you think you need a root canal or you have a tooth that’s messed up. But I’ve got Trigeminal Neurolgia. I’ve only had four episodes. But when I do get it, I use CBD and it’s been amazing. But if you look it up, a lot of people will actually go to a dentist and get a bunch of root canals done that they don’t need. Or they don’t know how to treat it. And usually people kill themselves. It’s gnarly. Even if you don’t have Trigeminal Neurolgia, CBD still has tons of benefits. A lot of people vape CBD oil to control epilepsy (like Brendan Schaub’s son), anxiety, depression, pain, and more. There are also tons of other CBD products out there, including gummies and capsules. CBD lotion is being used to treat joint and other types of pain. Vaping CBD is the most popular consumption method, since it is convenient and highly bioavailable. While edibles can be tasty, you get less of the benefits than you do when vaping it. But as with most other things in life, which method you use to take CBD is a matter of personal preference. Does CBD Show Up in a Drug Test?